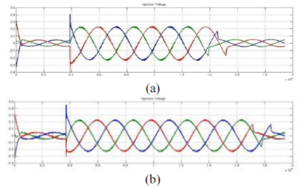 This paper presents a novel design of a dynamic voltage restorer (DVR) which mitigate voltage sags, swell and phase jumps by injecting minimum active power in system and provides the constant power at load side without any disturbance. The design of this compensating device presented here includes the combination of P WM-based control scheme, d q 0 transformation and PI controller in control part of its circuitry, which enables it to minimize the power rating and to response promptly to voltage quality problems faced by today’s electrical power industries. 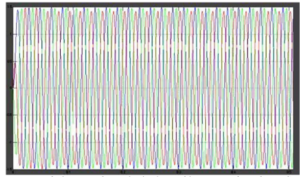 immense knowledge of power electronics was applied in order to design and model of a complete test system solely for analyzing and studying the response of this efficient DVR. In order to realize this control scheme of DVR MAT LAB/SIM U LINK atmosphere was used. 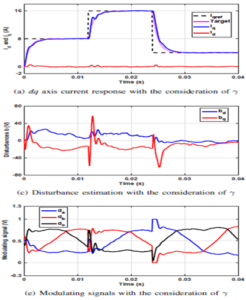 The results of proposed design of DVR’s control scheme are compared with the results of existing classical DVR which clearly demonstrate the successful compensation of voltage quality problems by injecting minimum active power. 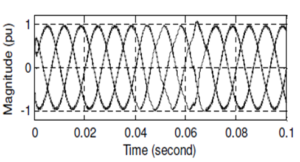 Fig.2.Source Voltage with Sag of 0.5 p.u. Fig.6.Source Voltage with Swell of 1.5 p.u. As the world is moving towards modernization, the most essential need that it has is of an efficient and reliable power of excellent quality. Nowadays, more and more sophisticated devices are being introduced, and their sensitivity is dependent upon the quality of input power. 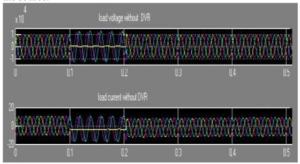 Because even a slight disturbance in power quality, such as Voltage sags, voltage swells, and harmonics, which lasts in tens of milliseconds, can result in a huge loss because of the failure of end use equipment s. For catering such voltage quality problems an efficient DVR is proposed in this paper with the capability of mitigating voltage sags, swells, and phase jumps by injecting minimum active power hence decreasing the VA rating of DVR. K u m a r, R. A nil, G. Siva K u mar, B. K a l y an K u mar, and Ma he sh K. Mi s h R a. “Compensation of voltage sags and harmonics with phase jumps through DVR with minimum VA rating using Particle Swarm Optimization.” In Nature & Biologically Inspired Computing, 2009. NaBIC 2009. World Congress on, pp. 1361-1366. IEEE, 2009. Song song, Chen, Wang Jian wei, Ga o Wei, and Hu Xiaoguang. “Research and design of dynamic voltage restorer.” In Industrial Informatics (INDIN), 2012 10th IEEE International Conference on, pp. 408-412. IEEE, 2012. 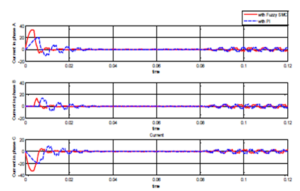 A. Bendre, D. Divan, W. Kranz, and W. E. Brumsickle, “Are Voltage Sags Destroying Equipment?,” IEEE Industry Applications Magazine, vol. 12, pp. 12-21, July-August 2006. Numerous controllers based fluffy rationale have been connected on electric power framework. As often as possible, time reaction of the fluffy controllers is gradually, on the grounds that the quantity of participation capacities are too much. Many research are proposed to limit the quantity of enrollment work, for example, fluffy polar controller technique. By utilizing this strategy, number of enrollment capacity can be limited, so the time reaction of the controller turn out to be quicker. 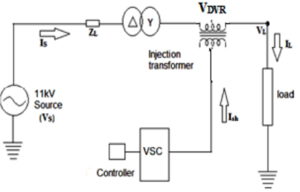 This paper displays the Dynamic Voltage Restorer (DVR) based Fuzzy Polar Controller Method to remunerate adjusted voltage list. Reenactment results demonstrate this proposed technique can repay adjusted voltage hang superior to PI controller. DVR based PI Controller can keep up half voltage hangs at 110 % and 30% voltage droops at 98%. DVR based Fuzzy Polar Controller can keep up half voltage lists at 100 % and 30% voltage lists at 97%. As per the mistake normal everything being equal, are demonstrated that the execution of DVR based Fuzzy Polar Controller superior to DVR based PI Controller. Further investigation for unbalance remedy is being attempted to demonstrate the viability of the proposed controller. 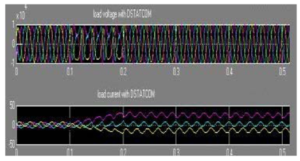 This paper researches the execution of Dynamic Voltage Restorer for repaying distinctive voltage droop levels with different flaws and to lessen the Total Harmonic Distortion amid the alleviation procedure. The DVR is actualized with three stage voltage source inverter and is associated at the purpose of normal coupling so as to direct the heap side voltage. The pay depends on PI and Mamdani Fuzzy Controller. 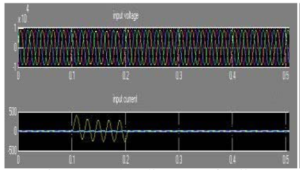 Broad reproduction examines under various size of hang for flaws on load side for adjusted and lopsided conditions are directed utilizing shortcoming generator. Reenactment result investigation uncovers that DVR performs consummately with PI and Fuzzy control approach. What’s more, ability and execution of DVR for different vitality stockpiling limits and infusion transformer rating are additionally broke down. 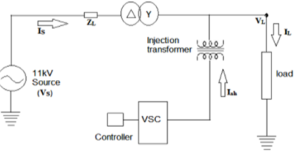 The execution of these controllers is approved with recreation results utilizing Matlab/Simulink. The DVR handles both adjusted and uneven conditions viably and infuses the digressed voltage part under supply unsettling influences to keep the heap voltage adjusted and consistent at the ostensible esteem. In this manner the proposed DVR can alleviate different dimensions of voltage hang and distinctive sorts of shortcomings. 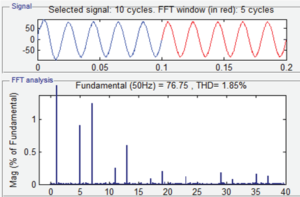 Reenactment results in MATLAB/SIMULINK demonstrate that the control conspire gives a precise following of the voltage reference and a quick transient reaction. Both the controllers shows great execution and limit the THD level. 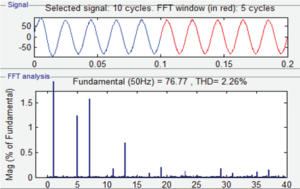 It is discovered that FLC gives better execution with THD of 0.42% where as PI gives 0.46% THD. 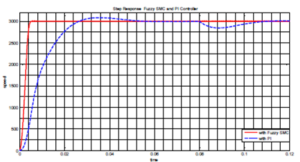 The expansion in KVA rating of infusion transformer and DC stockpiling esteem successfully repays the voltage droop and diminish the THD level. Be that as it may, higher estimation of DC stockpiling and transformer rating makes it increasingly costly. The adequacy of a DVR framework basically relies on the rating of DC stockpiling limit, infusion transformer rating and the heap. From the recreation, it obviously demonstrates the significance of these components and how it influences the execution of DVR is dissected. 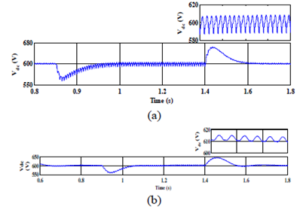 This paper introduces a novel plan procedure of decoupled PI current controller for changeless magnet synchronous generator (PMSG)- based breeze turbines sustaining a lattice fixing inverter through consecutive converter. In particular, the plan procedure comprises of consolidating aggravation eyewitness based control (DOBC) with criticism linearization (FBL) system to guarantee ostensible transient execution recuperation under model vulnerability. By rearranging the DOBC under the input linearizing control, it is demonstrated that the composite controller decreases to a decoupled PI current controller in addition to an extra term that has the primary job of recuperating the ostensible transient execution of the criticism linearization, particularly under advance changes in the reference. Also, an enemy of windup compensator emerges normally into the controller while considering the control input immersion to plan the DOBC. This licenses to expel the impact of the immersion squares required to constrain the control input. 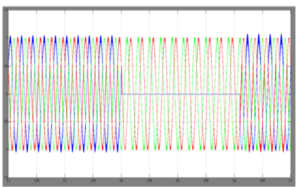 The proposed control plot is executed and approved through experimentation directed on 22-post, 5 kW PMSG. The outcomes uncovered that the proposed system can effectively accomplish ostensible execution recuperation under model vulnerability just as enhanced transient exhibitions under control immersion. Fig. 2. System’s response under the composite controller consisting of the feedback controller (13) and the PI-DO (34)–(37). The controller was tested experimentally using the block diagram of Fig. 3. Specifically, the PI-DO (34)–(37) was evaluated with and without the consideration of the reference jump . Fig. 3. 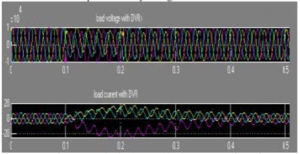 System’s response under the composite controller consisting of the feedback controller (13) and the DOBC (25). 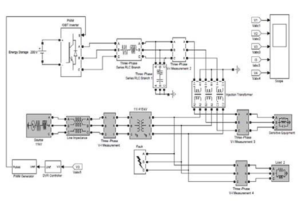 The controller was tested experimentally using the block diagram depicted in Fig. 2. Fig. 4. 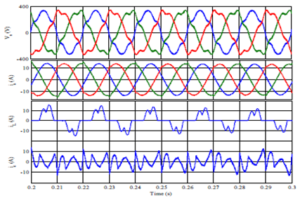 System’s response under a conventional PI current controller . Fig. 5. Performance evaluation of the proposed PI-DO under model uncertainty. 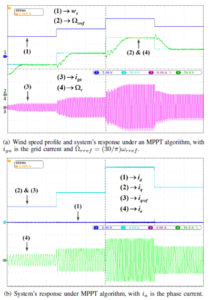 This paper has introduced a novel structure of decoupled PI controller to upgrade the transient execution for the present control of PMSG-based breeze turbine. The proposed controller strategy was built up by consolidating a DOBC with criticism linearizing control law. For reasons unknown, the composite controller has a decoupled PI-like structure in addition to two extra parts. 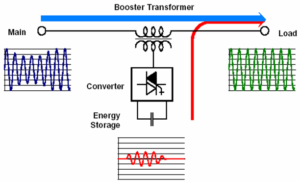 The initial segment is fundamentally an enemy of windup compensator, while the second part utilizes the reference bounce data to counteracts the impact of the sudden advance changes in the power request on the transient reaction. This change of the decoupled PI controller grants to ensure zero enduring state blunder without giving up the ostensible transient execution indicated by the state input controller. This remarkable element can’t be accomplished under the current decoupled PI controller, especially when the model parameters are not precise. 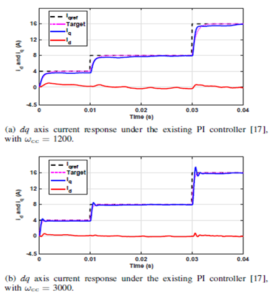 Trial tests have been performed, and the outcomes bolster the utilization of the reference bounce data to enhance the transient execution under the decoupled PI controller. 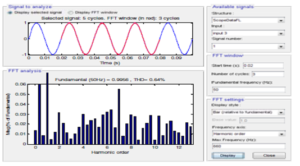 Along these lines, the proposed methodology furnishes professionals with a substitute strategy in structuring a vigorous decoupled PI current controller for PMSG-based breeze vitality change framework. 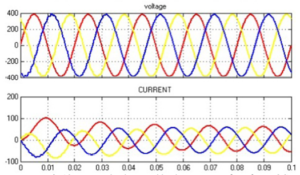 ABSTRACT: Use of power electronic converters with nonlinear loads produces harmonic currents and reactive power. 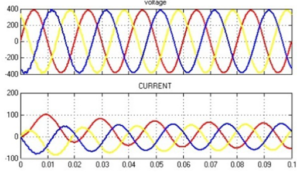 A shunt active power filter provides an elegant solution to reactive power compensation as well as harmonic mitigation leading to improvement in power quality. 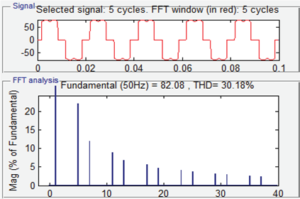 However, the shunt active power filter with PI type of controller is suitable only for a given load. If the load is varying, the proportional and integral gains are required to be fine tuned for each load setting. 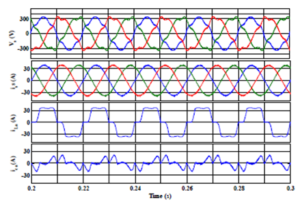 The present study deals with neural network based controller for shunt active power filter. 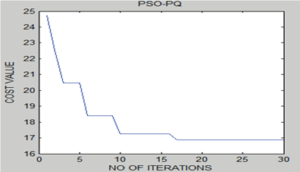 The performance of neural network controller evaluated and compared with PI controller. 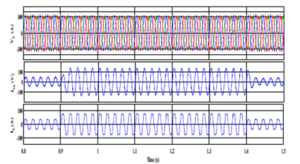 The active power filter controller with neural network based controller has been seen to eminently minimize harmonics in the source current when the load demands non sinusoidal current, irrespective of whether the load is fixed or varying. Simultaneously, the power factor at source also becomes the unity, if the load demands reactive power. Thus, neural network based controller is far superior to PI type of controller which requires fine tuning of Kp and Ki every time the load changes. 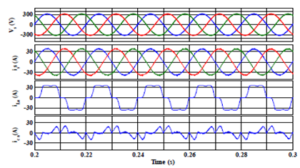 In the present work, the performance of a range of values of the load is considered to robustly test the controller. 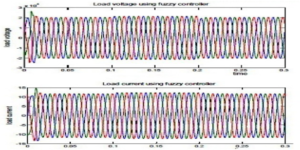 It has been demonstrated that neural network based controller, therefore, significantly improves the performance of a shunt active power filter. 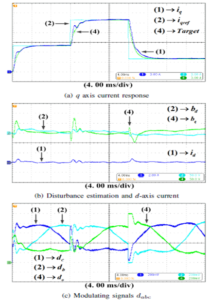 Laszlo Gyugyi, “Reactive Power Generation and Control by Thyristor Circuits”, IEEE Transactions on Industry Applications, vol. IA-15, no. 5, September/October 1979. 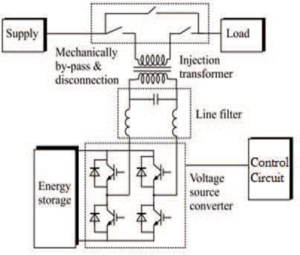 Akagi, Y. Kanazawa, and A. Nabae, “Instantaneous reactive power compensators comprising switching devices without energy storage components,” IEEE Transaction Industrial Applications, vol. IA-20, pp. 625-630, May/June 1984. 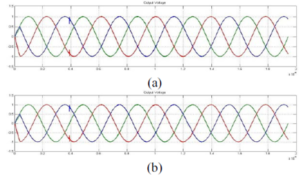 Z. Peng, H. Akagi, and A. Nabae, “A study of active power filters using quad series voltage source pwm converters for harmonic compensation,” IEEE Transactions on Power Electronics, vol. 5, no. 1, pp. 9–15, January 1990. 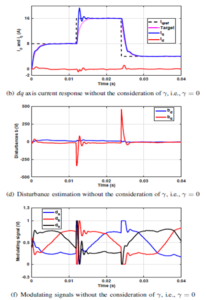 Conor A. Quinn, Ned Mohan, “Active Filtering of Harmonic Currents in Three-phase, Four-Wire Systems with Three-phase and Single-phase Non-Linear Loads”, IEEE-1992. 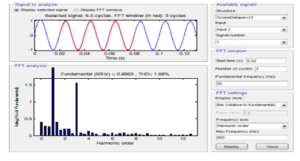 A. Morgan, J. W. Dixon, and R. R. Wallace, “A three-phase active power filter operating with fixed switching frequency for reactive power and current harmonic compensation,” IEEE Transactions on Industrial Electronics, vol. 42, no. 4, pp. 402–408, August 1995.